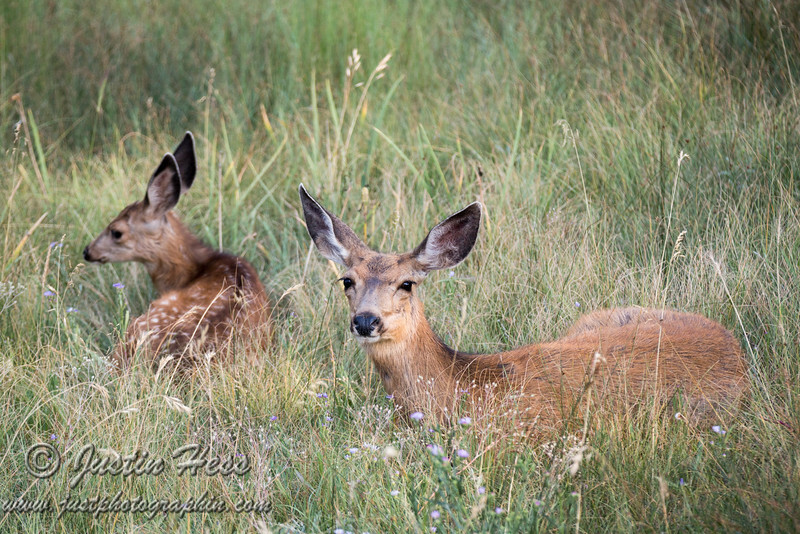 A mother and her fawn took an afternoon break. I named the fawn, Hoppity, because it has a tendency to hop a lot as it follows its mom around! We have been watching this fawn grow up under the care of its mother. They decided to lay down for a nap the other day. I named the fawn Hoppity due to the way it happily hops along to keep up with its mom.